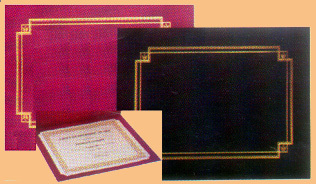 An unaltered photocopy of your DD-214 or other pre-arranged military issued document clearly displaying your USMC Radioman primary or secondary MOS. The Marine Corps Radioman is the essential communications link between the fixed, mobile or combat Marine unit and higher command or support levels. The Radioman is skilled in operating various communications device and tasked to quickly interpret and utilize Allied or enemy communications devices should the urgency arise. 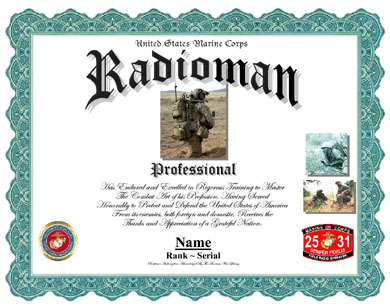 The Radioman continues to serve as a Rifleman providing dual level support in combat.